Hello everyone! Samantha here, and I am bringing you our 50th challenge!! Create a Fall themed project! Think Fall colors, oranges, reds, browns, yellows. And think fall themed images. 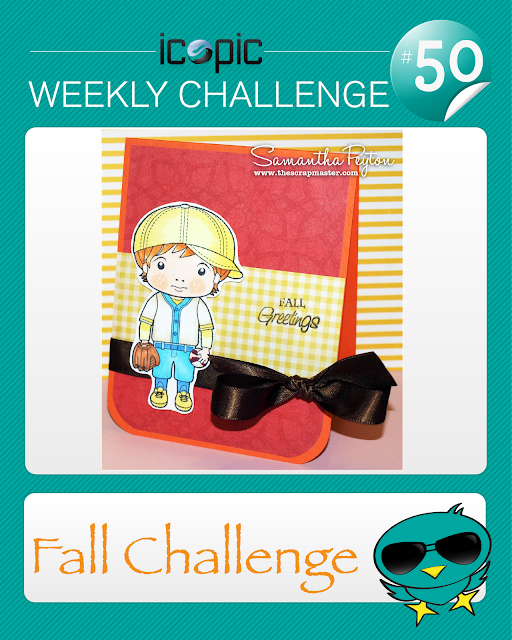 My inspiration card features fall colors and the cute little Baseball Luka from LaLa Land Crafts. I used the following Copic markers: YR12, YR14, YR32, E0000, E000, E00, E97, E23, E81, B01, B02, B24, R89, Y00, and Y02. Add a direct link to your challenge project below. Projects are due on October 9th at noon PST. 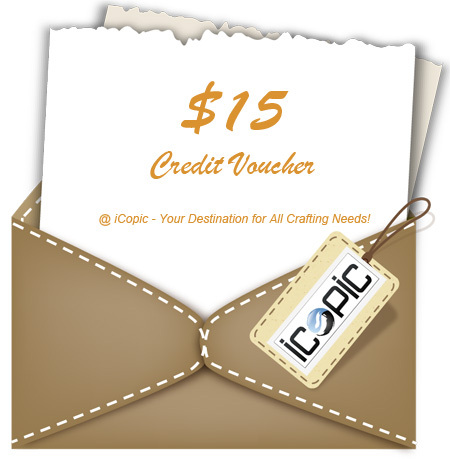 A winner will be chosen at random to receive this week's prize AND be showcased right here on the iCopic blog Sunday evening!